Chef Carme Ruscalleda takes charge of the informal Blanc restaurant in the Mandarin Oriental Barcelona hotel with fabulous, unfussy dishes. Blanc restaurant is like an unlucky-in-love Hollywood star: glamorous and beautiful but seemingly unable to settle down with the right partner. The story of its dalliances with chefs even has a screenplay quality. There was a tempestuous but talented French lover – Jean Luc Figueras – who left for a younger hotel. A rebound relationship with an unheralded local journeyman didn’t attract much press but then came another celebrity pairing. Rising star Ángel León arrived and put a ring on it, re-branding the restaurant as BistrEau, but it wasn’t to last. León was on his way to the very top and left to concentrate on pursuing – and winning – a third Michelín star at his Aponiente restaurant. They split on good terms and he has announced to return for booty calls, sorry, pop-up restaurant appearances, in the future. But Blanc is still an attractive prospect. It occupies a grand space in the 5* Mandarin Oriental Hotel on Passeig de Gràcia – Barcelona’s swishest boulevard. The dining area in a vast, glass-roofed atrium may be redolent of an upmarket department store (thanks to a friend for that description) but it is elegant and pretty – and surrounded by wealthy hotel guests. Thus is was that the relationship we all knew should be, must be, finally came to fruition. Carme Ruscalleda has long been a part of the Mandarin’s life as executive chef alongside her son Raül Balam in the fine dining, two-Michelín-star Moments restaurant. She has now taken charge of the more informal Blanc too, restoring its original name after the BistrEau era. And it’s a great fit. Ruscalleda matches the Mandarin Hotel’s glamour with a stellar reputation of her own (seven Michelín stars, including three at her flagship Sant Pau restaurant). Blanc is a complicated restaurant to manage because it needs to be all things to all people, at all times of the day. It serves breakfasts, brunch, lunch and dinner. It has to cater to guests seeking anything from sandwiches to sit-down feasts, alone or in groups. It also has to have some local flavour but not so much that the international clientele feel uncertain. When we visited in November (full disclosure: as a guest of the hotel) early on a Monday night, the dining room was almost empty apart from a huge group of Chinese business people who were happily waging war on their company’s expense account. The dining area is relatively unchanged. White still predominates, as the restaurant’s name suggests, but it is perhaps less bridally bright than before. The interior design still favours high-backed (and not especially comfortable to eat from) chairs around small tables. Cacti and assorted greenery in very heavy-looking pots dangle vertiginously from the ceiling above diners’ heads, suspended by filaments of steel and faith in engineering. There are many menus available but we kept it simple, with the €59 Autumn set dinner (drinks not included). Sensational, delicate croquettes, first of cheese and beetroot then Iberian ham hit the spot immediately. Regular readers will know of my indifference toward croquettes but I could have eaten these all night. Lobster citrus salad was similarly simple and equally well judged, with just the right balance of acidity to match the mellow, meaty seafood and plenty of textures to keep things interesting. A perfect, peppery plate of sautéed wild mushrooms, black botifarra (blood sausage) and green asparagus. Then monkfish in Ruscalleda’s signature HK-Maresme sauce. Within its depths the flavours of the Catalan coast swirl and mingle with those of Asian cuisine but I would have liked a little more of it and less bland aubergine. The dish tasted fine but looked like it had been dropped or plated by someone on their first day in the kitchen. There are limits to the clumsiness that being informal can excuse. It was so messy even the photo was blurry. The next dish was messy too but I didn’t care because it tasted phenomenal. Iberian pork pluma (a flavoursome inside-shoulder cut) with courgette flowers and date chutney. With meat juices running through the fruit and nut it was starting to feel a lot like Christmas. This could easily have been too sweet or too rich or under-salted but the seasoning was spot on. Desserts are presented on a cake trolley, because they’re all tarts and cakes. I was going to order a tart tatin but the amiable waiter gently bullied me into a red fruit cake. Give that man a raise. It was sublime, as was the lemon cheesecake my wife ordered. The stars have finally aligned at Blanc. I’ve enjoyed the different iterations of the restaurant in different ways but this partnership with Carme Ruscalleda feels right. I’m biased – I unabashedly love all her restaurants, her books and her approach to food in general. I can’t comment on the paellas, burgers and sandwiches that Blanc is compelled to serve to keep hotel guests happy. I’m sure they’re fine. But the smart move is to choose dishes that have more of Ruscalleda’s stamp on them. None of the clever menu design would mean anything without competent execution, of course, so it’s good to know that Blanc’s day-to-day cooking is in the safe hands of Alberto Castiñeiras, who has moved downstairs from Moments. It would be a pity for Blanc to be enjoyed only by hotel guests. It’s not cheap but a €36 lunch menu and €59 dinner menu make it accessible. If you need a break from shopping in Passeig de Gràcia’s designer boutiques, this should be high on your list. 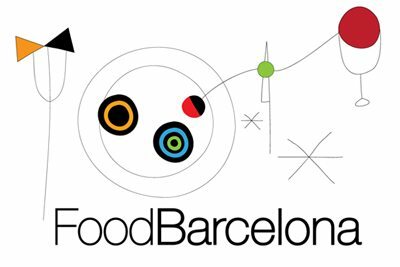 Looking for other Eixample restaurants? Look here. Besides awakening the ravenous beast in me with these images you create a mood that might as well be found in a good book, in some literary scene. I like that. The way you master the language. Thanks for promoting Barcelona in such a sweet way.